This message just tells the user that a Host with the enabled Internet-ID connection has been installed on their computer. 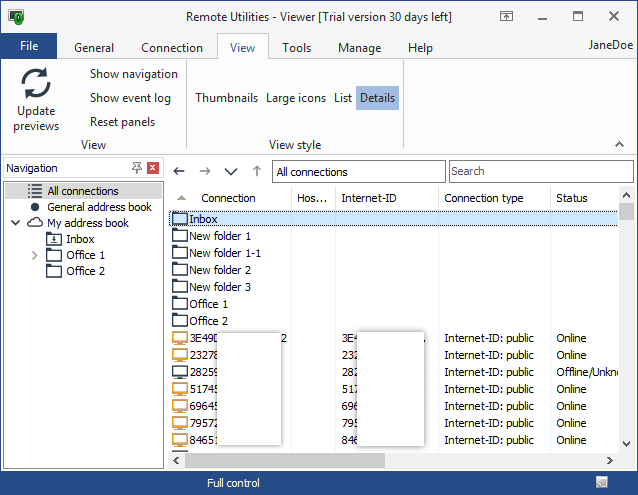 The administrator can connect to the remote computer right away even if the user didn’t click anything yet. Starting version 6.8 the message is not shown if the first connection was established from a Viewer registered with a PRO or SITE license. An Internet-ID code is now 12-digit instead of 9-digit. This was a necessary change – a 12-digit Internet-IDs add to security and overall stability of the program. Also, “fixed” (hardware-bound) Internet-IDs introduced back in version 6.5 are no more in version 6.6. Now Internet-ID codes are randomly generated as they used to be prior to version 6.5 was released. You can re-issue the Internet-ID code on a given Host and the new Internet-ID will be different from the old one. This can help with the duplication problem although this problem is very unlikely given the new 12-digit format. Important: All previous Internet-ID formats are still supported. You do NOT have to change the IDs on your Hosts even if you update the Hosts to version 6.6. 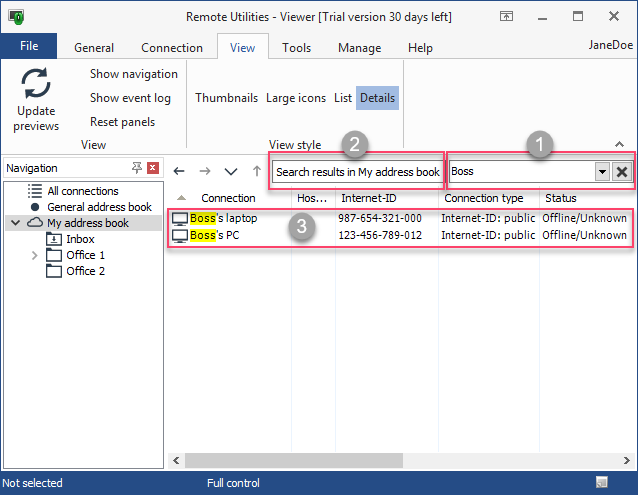 Setting permissions for address book synchronization on the RU Server has been improved. 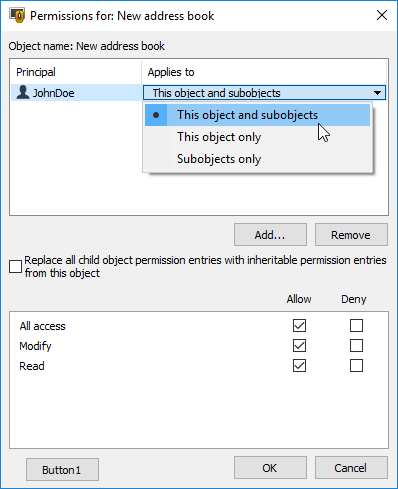 In the security properties for a given object (address book or folder) you can now specify whether to apply permissions to the object and its children (default option), the object only or children only. In a multi-user environment, this feature can help you better organize your security policy. Your comments and suggestions are always welcome on our community forum.